If you are a competitive soccer player who has always wanted to study abroad, EduKick International is the place for you! Since 2001, we have been providing academic year soccer/football academy boarding schools in Spain, England, Germany, France, Italy, Brazil, USA and Mexico. Typically designed for students aged 13 to 23 years of age, the programs combine daily professional soccer training and structured language classes, High School academics or sports science courses taught by highly qualified coaches and teachers. Our 2014/15 Academic Year Programs are about more than just learning the game. They also include full-time educational options like ESL, EFL, BTEC Sports Science, Foreign Language Study, IGCSE and A-Level, and USA 8-12 Online Distance Learning. 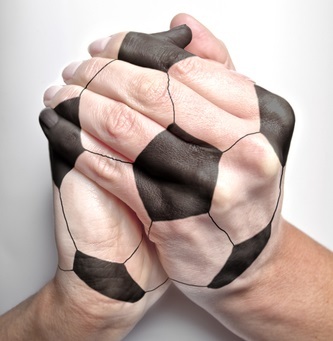 And at EduKick, we compliment the student-player’s experience of studying abroad with cultural experiences. Many evenings, the students and teachers go out to enjoy cultural activities and sometimes weekend trips to local tourist attractions and historical destinations. EduKick’s You Tube Channel allows interested parents and students to view hundreds of EduKick academy videos before making the decision to join our teams across the globe. All EduKick participants are totally immersed in the language and culture of the country their school is located in. All football training sessions, academic and language classes and social activities are conducted in that country’s language to immerse the students in the new language and enhance his or her overall cultural experience abroad. Our two most popular academies are EduKick Madrid (Spain) and EduKick Manchester (England). These football academies regularly register 20-30 international soccer players for each year for our academic year programs. The fantastic development that comes from so many student-players is the intercultural exchange and appreciation that happens between aspiring soccer players from so many countries. In Manchester, this last year, we accepted 28 players from a total of 21 different countries. That experience encourages these young players to learn even more to work as a team. 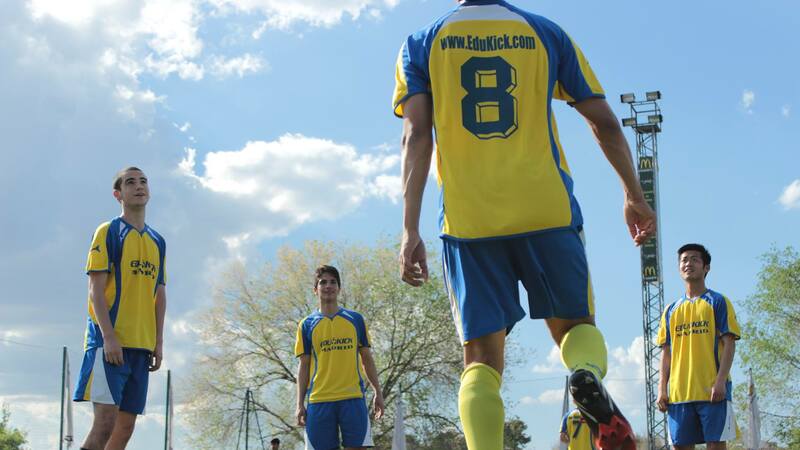 At EduKick Madrid, in Spain, our students train daily under the EduKick technical Spanish coaches. To further their training they are inserted into a local team, gaining additional training and weekend match play. This intercultural exchange with Spanish footballers benefits EduKick participants immensely both in their language development and in their football training. Students from the United States are able to study US Accredited High School Online Distance Learning (in English), and EduKick provides WiFi access in all accommodations to allow student-players the ability to study online in their own languages. In England, EduKick is able to obtain Student Visas for all of its students to allow them to legally live and study there for the duration of the course. Educational options EduKick Manchester include, English as a Second Language (ESL/EFL), BTEC Sports Science, IGCSE and A-Level, and USA 8-12 Online Distance Learning. To operate the world’s leading international soccer/football and education academy boarding schools; building strong business relationships in a vibrant, creative and ethical international football environment. To teach, inspire and create the best technical and physically fit student-footballers possible and create international students with inter-cultural competence (ICC) enabling them to compete professionally and athletically in the modern competitive world. EduKick Manchester Academy students in the year-long programs enjoy the opportunity to live independently at a student residence. Want to know more? Ask us here!